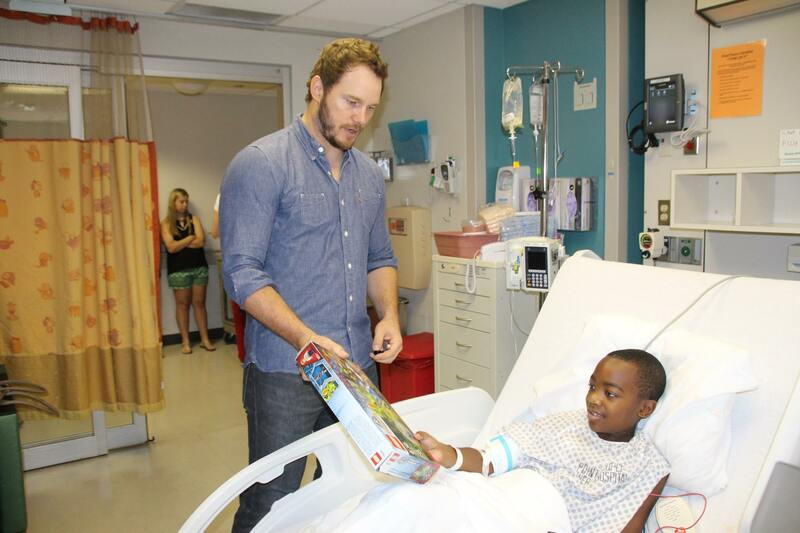 Chris Pratt Visits a Children’s Hospital | Becoming Star-Lord. 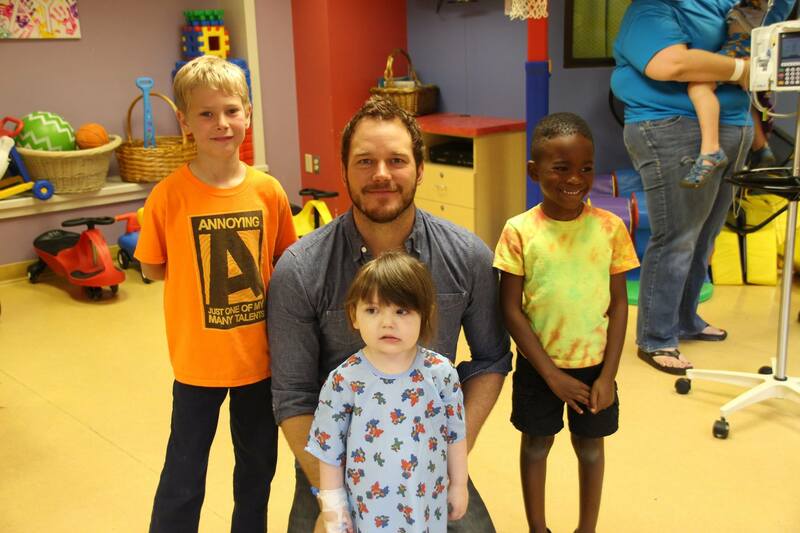 A few days ago, Chris Pratt reminded me that it only takes a small amount of effort to make a child’s day. 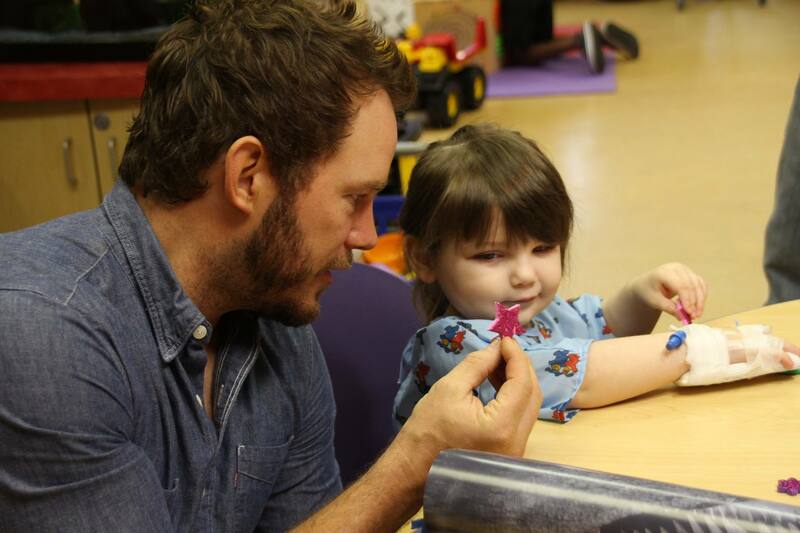 On June 20th, the Guardians of the Galaxy star stopped by Our Lady of the Lake Children’s Hospital in Baton Rouge, Louisiana to visit with some of their patients. 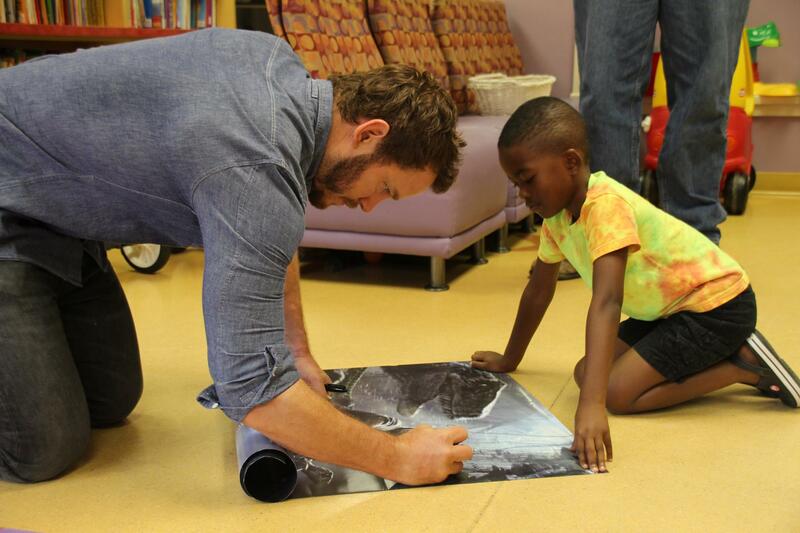 Despite his busy schedule, Chris spent hours lifting the spirits of those in need. These pictures come from the hospital’s Facebook page and tell the story of his visit better than I ever could. Is this a wonderful picture, or what? The Jurassic World lead brought some goodies from the new hit film and personalized them for the kids. I’ll bet this patient will remember this visit forever. Chris poses with the kids. For me, this served as a reminder of how small efforts and actions can have a huge impact on those who are in need, especially children. In a weird way, it makes Star-Lord feel like a real life superhero and not one that exists purely in the Marvel cinematic universe. I’m excited to finish the costume. For anyone who would like to donate a couple of dollars to my fundraising effort for CASA, they can do so here! 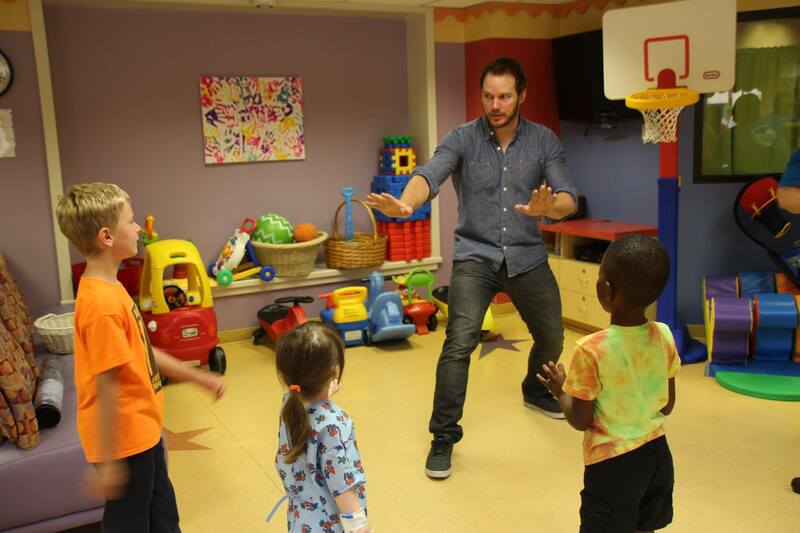 This entry was posted in Children in Need, Chris Pratt and tagged CASA, charity, Children, Chris Pratt, costume, fundraising, guardians of the galaxy, Kids, Marvel, non-profit, Star-Lord, Starlord, Superhero on June 29, 2015 by Liam.